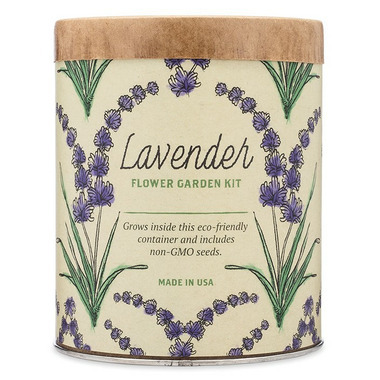 This all-inclusive Modern Sprout English Lavender indoor grow kit is packaged in a wax-coated and water-tight recycled paper tube planter. 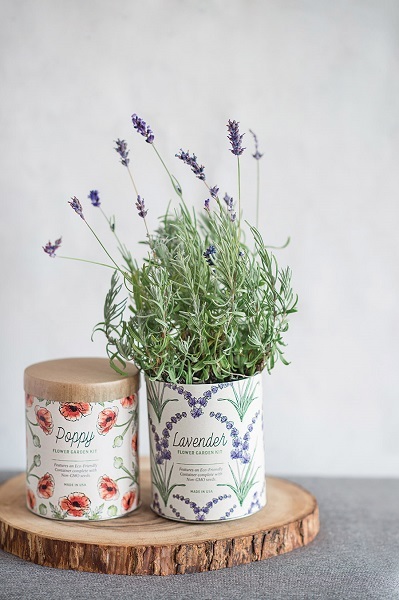 This highly versatile and aromatic herb features slender sage green stems and delicate clusters of purple blooms. The kit includes two wicking grow mediums that are strategically layered to provide plants with the perfect balance of water, nutrients and oxygen. I bought two of these for Christmas gifts and the receivers were so pleased to have them. They will grow them now to spruce up their winter dodrums!